Motor Ports: (8) standard 3-wire Motor or Servo ports. (2) 2-wire Motor ports. I2C Smart Sensor Port: Will connect to multiple new smart sensors in the future. 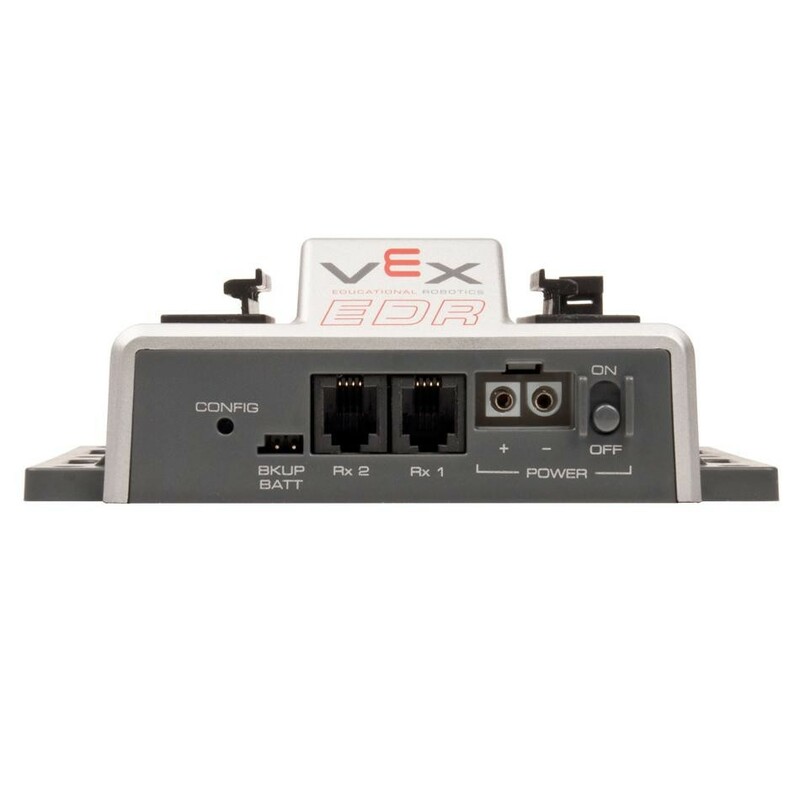 Digital/Analog Input Ports: (8) high-res Analog Inputs, (12) fast Digital I/Os that can be used as interrupts. 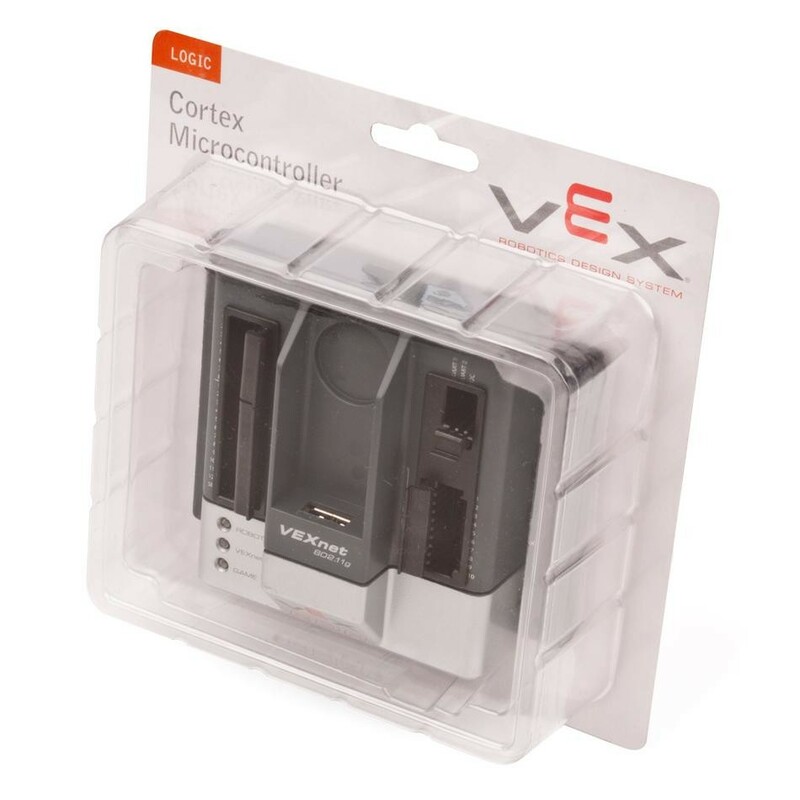 Battery Ports: Connect 7.2V power sources, such as the Battery Holder or the VEX 7.2V Robot Battery. Also connect a 9V Backup Battery to protect against communication losses. STMicroelectronics ARM Cortex-M3 user processor. Wireless with built-in VEXnet technology. (8) Standard 3-wire Motor ports. (1) I2C "smart sensor" port. (8) Hi-res (12-bit) Analog Inputs. (12) Fast digital I/O ports which can be used as interrupts. Type: Six AA batteries or 7.2V Robot Battery. 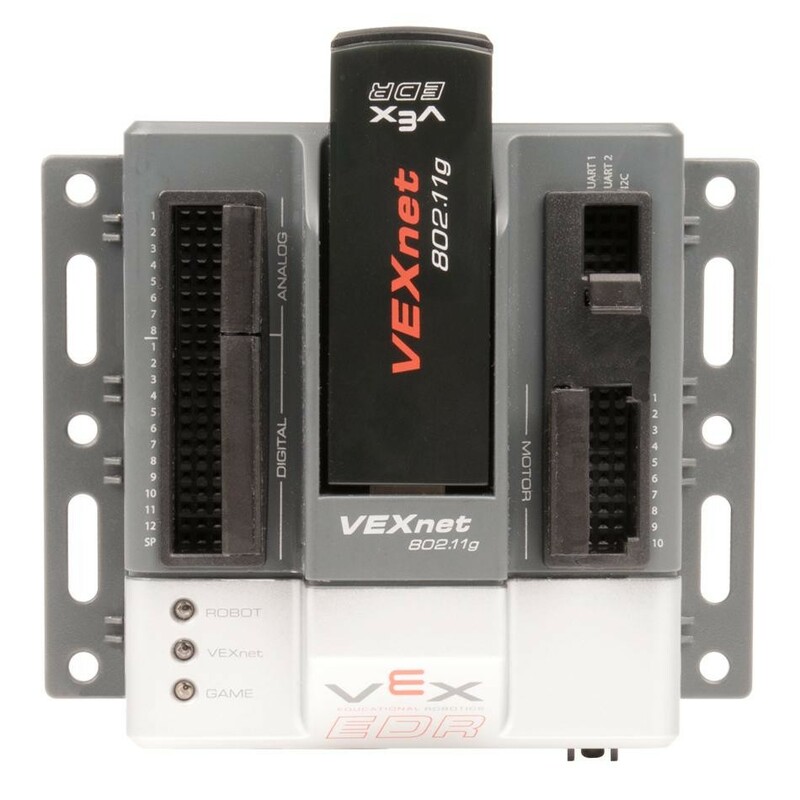 Current: 150mA for Controller & Receiver plus Motors, Servos & VEXnet. 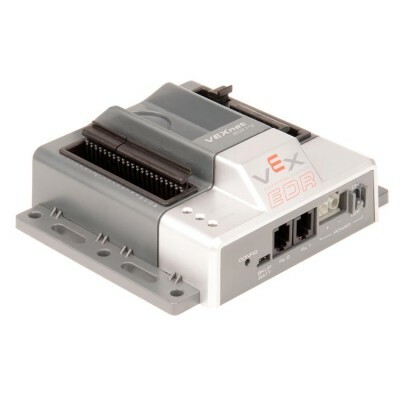 Usage: For 3-wire VEX motors, Motor Controller 29s or servos. Usage: For 2-wire VEX motors. Usage: Output sound, voice, music to an external speaker. Usage: Connects to (2) 75MHz receivers. Speed: 90 MIPS (Million Instructions Per Second). Size : 4.5in W x 3.9in L x 1in H.
Weight: 0.302 lbs (137 grams). Actual weight one item (no packaging).